Have I mentioned lately that I love Samantha Kira Harding's new line of rubber art stamps? They are cute, whimsical and very versatile. Don't be fooled by their clean and simple design. These stamps have a broad range of possibilities for the stamper, journaling or scrapper! 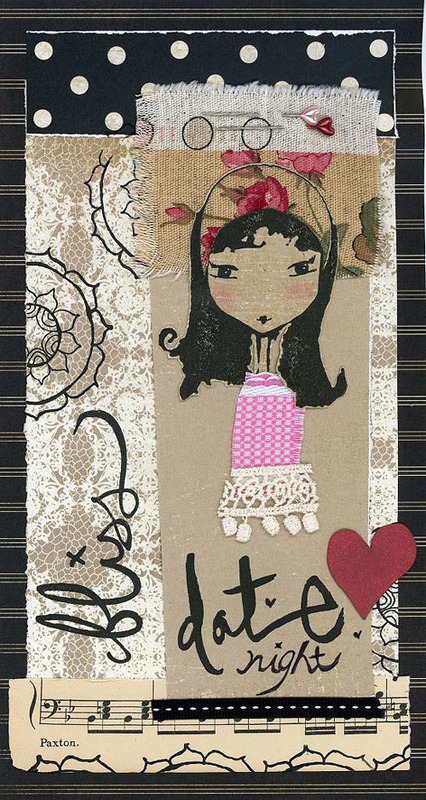 Check out how our designer, Sue Smith from Australia, used the little houses to create a hat and a cute row of flowers or the Winged Heart stamp as the bodice and arms of her dancing girl! Kira's stamps are available at Paperbag Studios!